AP Inter Results: AP Inter 1st, 2nd year results to be out on April 12! on bieap.gov.in: Andhra Pradesh Board of Intermediate Education, BIEAP is expected to release the AP Inter Second Year results 2019 in the second week of April, 2019. 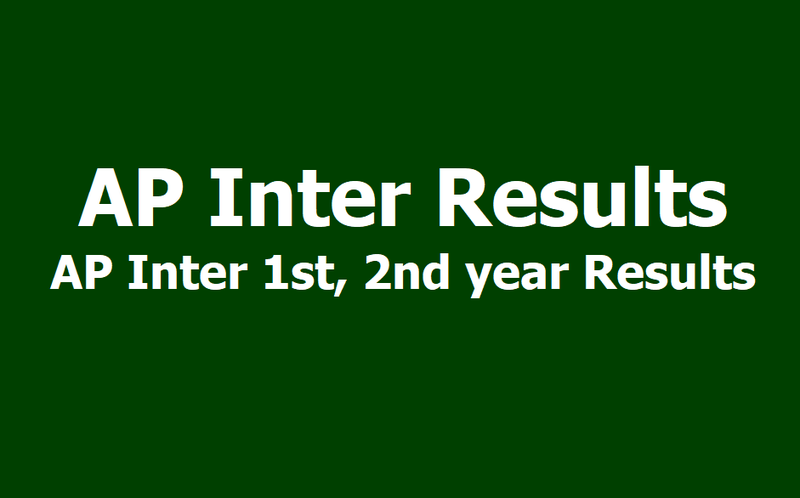 AP Inter 2nd year 2019 results will declare on April 12, 2019. AP Intermediate Second Year examination commenced on February 28, 2019 and concluded on March 18, 2019. The result will be declared on by the Board of Intermediate Education, Government of Andhra Pradesh or BSEAP on the official website bieap.gov.in. Nearly 4,36,000 students appeared for this examination. Students who appeared for the examination can check their result on the official website. Board of Intermediate Education Andhra Pradesh, BIEAP would be releasing the AP Inter 1st and 2nd year result 2019 in the month of April. The date for the AP Inter results has not been confirmed by the board as yet. However, as per the third party result partners of BIEAP, the AP Inter 1st year result 2019 would be released on April 12, 2019. The results would be available on the official website bieap.gov.in. Students are advised to keep a check on the official websites for updates regarding the result. Sources close to the board have confirmed that the evaluation process for Inter first year is almost complete. The results would be announced after the polling for General Elections 2019, which is scheduled for April 11.